Beijing and Tehran share similar interests in a stable Afghanistan that does not depend on U.S. support. 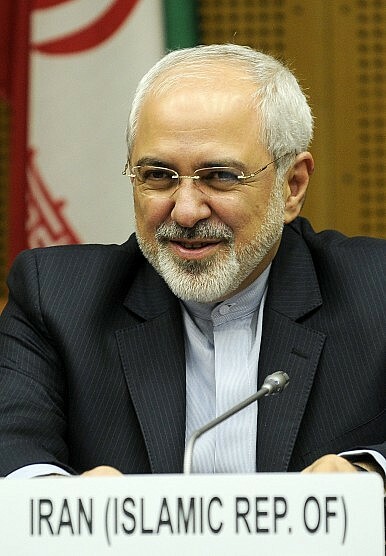 Zarif was in Beijing for the Istanbul Process meeting on Afghanistan. While the brief Xinhua report on his meeting with Yang did not mention Afghanistan (or any specific issues), the timing naturally raises speculation that the two countries might be seeking greater coordination in their efforts to secure Afghan stability and security. The question of China-India cooperation on Afghanistan has received a great deal of attention, while the potential for China-Iran cooperation has been relatively overlooked. Like China (as well as most other interested parties, including India and the U.S.), it’s in Tehran’s best interests to have a stable Afghan government in Kabul, one that is free of influence from the Taliban. But Iran also seeks greater political and cultural sway over its neighbor, which puts it at odds with the U.S. The possibility of closer China-Iran cooperation on Afghanistan comes amidst a general blooming of the larger bilateral relationship. The two countries have been growing closer together as Iran engages in talks with the P5+1 countries (Britain, France, China, Russia, U.S. and Germany) over its nuclear program. Ties are advancing diplomatically and economically as well as militarily — Iran’s naval chief, Rear Admiral Habibollah Sayyari, was in Beijing a week ago for talks with China’s defense minister and the PLA Navy commander. On a strategic level, the China-Iran partnership is especially attractive for Tehran. As Maysam Behravesh argued in a piece for The Diplomat, the growing Russia-China alignment appeals to hardliners in Iran who are interested in joining an “anti-imperialist bloc.” Iran has been largely sidelined in international organizations favored by the West; new parallel international organizations being built by China provide an attractive alternative for Tehran. The September meeting of the Shanghai Cooperation Organization, for instance, allowed for new members to join that grouping, seen by some as China and Russia’s answer to NATO. Along with Pakistan and India, Iran is likely to be first in line to join, allowing it to cooperate more closely with Central Asian states as well as China and Russia. Iran, which is not a part of the Asian Development Bank, might also seek to join China’s new Asian Infrastructure Investment Bank. This experiment with multilateral cooperation and bilateral support could easily be extended to cooperative efforts in Afghanistan. Though Iran and the U.S. cooperated to topple the Taliban in 2001, as their relationship soured the U.S. increasingly sought to cut Tehran out of the rebuilding process. As a result, Iran grew more and more concerned about U.S. influence in Afghanistan, and sought to shore up its own network of support (particularly in the western and northern regions). A 2014 RAND study found that Iran was asserting influence in Afghanistan through “building and buttressing pro-Iranian schools, mosques, and media centers,” especially in Afghanistan’s west and north. As the RAND report points out, despite the battle for influence, the U.S. and Iran actually have similar interests in Afghanistan. “Iran wants to see a stable Afghanistan with a government free of Taliban control, and Iran seeks to stem the tide of Sunni extremism in the region,” goals shared with the U.S. However, Washington is suspicious of Iran’s quest for political and cultural influence in Afghanistan, ultimately limiting the potential for cooperation. China shares Iran’s security goals – and, along with Iran, would benefit from a lessened U.S. influence in Afghanistan and the region. Beijing would have far fewer qualms than Washington does about an Afghanistan aligned with Iran, particularly if China and Iran continue to cement bilateral and multilateral cooperation. Meanwhile, Beijing (like Tehran) stands to benefit if Kabul becomes more dependent on its neighbors and less so on the U.S. If China believes it can achieve its security goals by partnering with Iran, and cutting the U.S. out of Afghanistan as much as possible, Beijing will be happy to do so.